Korenix has lately launched its new Rackmount Managed Ethernet Switch- JetNet 6828Gf. It is a Layer 3 full Gigabit Managed Switch with 24 100/1000Base-TX ports, 8 100/1000 RJ-45/SFP combo ports, and 4 Gigabit SFP ports. Besides in compliance with IEC61850-3 and IEEE1613 approvals, it carries over 10 invention patents such as Korenix MSR and Trunking Technology. With the special design of Aluminum Fin case without cooling holes, it is considered a best fit for deployment in substations. The JetNet 6828Gf features wire speed switching capability where the full Gigabit traffic can be transmitted without packet loss and collision. The 8 combo ports allow users to trunk up to 8G uplink bandwidth and allow up to 12 fiber capability. 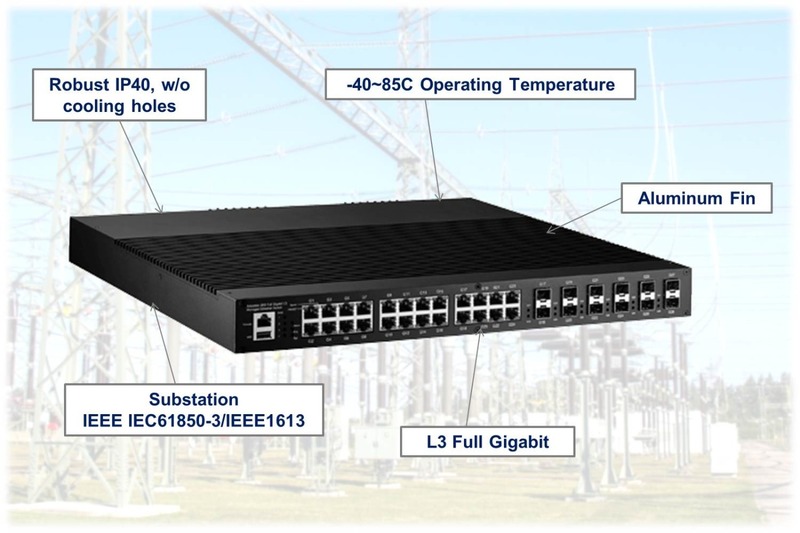 With full Gigabit capability, the product can perform as a core switch in the substations ensuring high bandwidth data transmission. The JetNet 6828Gf supports Virtual Router Redundancy Protocol (VRRP) and Open Shortest Path First (OSPF). VRRP provides automatic assignment; when a master router fails to connect, the backup router automatically being switched as new master router. OSPF is often used in large network such as substations; it can calculate the shortest route for data transmission, and make the process more efficient. 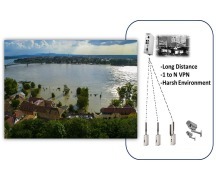 The JetNet 6828Gf supports Korenix Advanced Cyber Redundancy functions including MSR, SuperChain, ITU-T G.8032 ERPS, can assure smooth and seamless transmission in the substations. MSR features on 5ms recovery time when a link failed as well as 0ms restoration time, eliminates unstable status while maintains high stability. 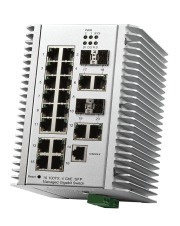 The JetNet 6828Gf supports Korenix Advanced Cyber Security functions such as DHCP Snooping, IP Source Guard, Dynamic ARP Inspection, Denial of Service (DoS) Protection, L2/L3/L4 Access Control List (ACL), can fully protect the data by avoiding unidentified IP access to the users’ devices; therefore, ensure secured data transmission in the substations. Korenix JetNet 6828Gf is now officially on sale, please contact Korenix professional sales at sales@korenix.com to get further information. 14F., No. 213, Sec. 3, Beixin Rd. Korenix introduces Industrial PoE switch JetNet7714G-M12 and JetNet 6910G-M12 for Train IP Surveillance Application. Along with Korenix Industrial Wireless AP JetWave2450, it composed a total solution. 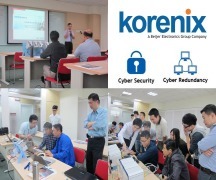 Korenix focuses on the development of Wireless Technologies in recent year. With the development of high quality and great function products, Korenix has successfully applied its products into numerous applications. Korenix has created its Official Facebook Page for advanced and more immediate customer service. 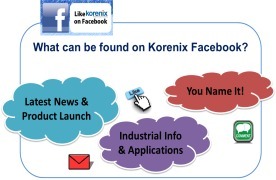 Therefore, Korenix would like to invite its friends, customers, and partners to Like Korenix on Facebook.